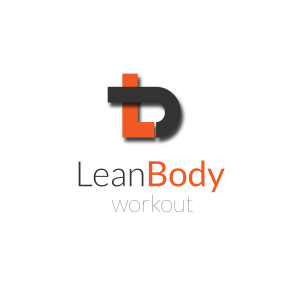 Welcome to the Lean Body Blog! At Lean Body we’re all about educating our clients towards achieving their fitness goals. We post valuable, free content regularly and this is where to find it, so be sure to pass through often! Should You Be Working Out Twice Per Day? https://leanbodyuk.com/wp-content/uploads/2018/09/Fb-ad-stock-image640-x390.jpg 390 640 blogger https://www.leanbodyuk.com/wp-content/uploads/2017/04/Screen-Shot-2017-04-19-at-07.47.41-300x110.png blogger2018-09-03 15:25:302018-09-03 15:25:30Should You Be Working Out Twice Per Day? What’s better for fat loss...Weights or cardio? 5 ways to make time for exercise! https://leanbodyuk.com/wp-content/uploads/2017/05/clock-and-dumbells.jpeg 267 400 Lean Body https://www.leanbodyuk.com/wp-content/uploads/2017/04/Screen-Shot-2017-04-19-at-07.47.41-300x110.png Lean Body2017-05-08 16:20:472017-05-20 11:53:075 ways to make time for exercise! https://leanbodyuk.com/wp-content/uploads/2017/05/admin-ajax.jpeg 267 400 Lean Body https://www.leanbodyuk.com/wp-content/uploads/2017/04/Screen-Shot-2017-04-19-at-07.47.41-300x110.png Lean Body2017-05-08 16:12:172017-05-20 11:53:28Go on...take a HIIT! Get Fit, Toned and Confident! https://leanbodyuk.com/wp-content/uploads/2017/04/fit-toned-confident.jpeg 267 400 Lean Body https://www.leanbodyuk.com/wp-content/uploads/2017/04/Screen-Shot-2017-04-19-at-07.47.41-300x110.png Lean Body2017-04-19 17:41:412017-05-20 11:54:27Get Fit, Toned and Confident!